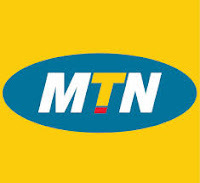 This is a way MTN want help it customers, when they are short of airtime to make call, send SMS or buy data for browsing. According ti MTN, this new product allows you request for airtime from the network on credit, when you have run out of airtime and pay later. 1. The airtime once received, can be used to make voice calls, buy data bundle or other Value Added Service. 2. The service is available to prepaid customers that have between 0-12 Naira on their account balance, and meet an unspecified including tenure on the network, and recharge frequency. => Use the display menu to check if you are eligible. => You will receive sms telling you about your eligibility. => Follow up the sms to do the rest. 1. This services attract 10% charge of what you are requesting for. 2. Once you load card to that MTN line, the airtime you borrowed will be taken back immediately. In my subsequent post, I will share with you how to borrow airtime from other network like Airtel, Glo, Etisalat, etc. So, SUBSCRIBE to this blog now if you don't want to miss them, even if I post them here, when you are not online.